I have my hands on a newly released book; Remake it Clothes by Henrietta Thompson. The book is second in the Remake series, the first being Remake it Home; a selection of resourceful household DIY ideas. You can read more on Remake it Home on designfiles here. Remake it Clothes, is described as an essential guide to resourceful fashion. A beautifully presented encyclopedia of global recycled fashion designers, with the added bonus of instructional DIY fashion ideas, illustrated by Neal Whittington. The introduction to Remake it Clothes, touches on the history of dressmaking at home, the way DIY fashion has evolved from the original shop purchased Vogue or Butterick patterns and fabric, to new trends which enable us to create our own fashion pieces, that go way beyond a sewing machine. 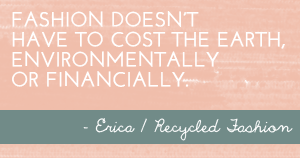 We always think of a make and mend culture to be born out of necessity, which is certainly the case during the 1940's, but today, many of us choose to make our own fashion not only due to financial restraints, but also for ecological reasons too. Remake it Clothes is split into chapters for womenswear, menswear, everyone, accessories, children and pets. 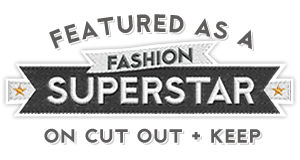 A book filled with stylish recycled fashion inspiration and ideas, from high profile fashion designers, through to step-by-step DIY fashion tutorials, and other useful resource pages including fabric files, care and storage. 'Design Examples' listed throughout the book profiles fashion designers from around the world, who choose an ethical approach to their collections by choosing recycled, organic and sustainable fabric for their work. For example, Milch, an eco-fashion label from Vienna, takes traditional menswear garments, and radically transforms them into womenswear. 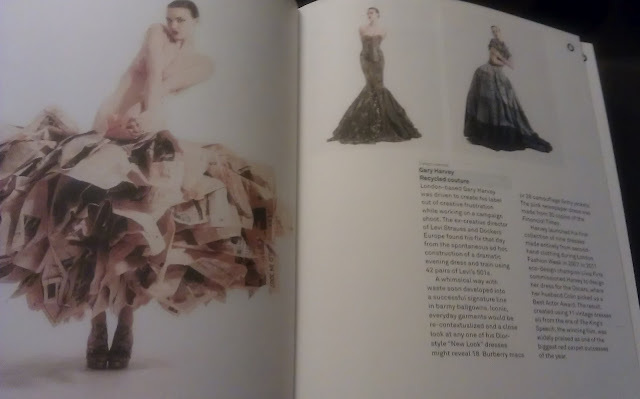 Gary Harvey's collection of recycled couture, dramatic dresses made from old pairs of Levi's jeans, army jackets, and newspaper pages. 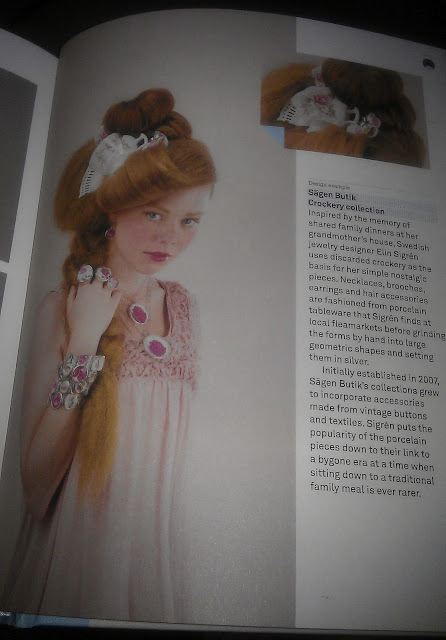 Swedish designer Sägen Butik's broken crockery necklaces, brooches earrings and hair accessories. 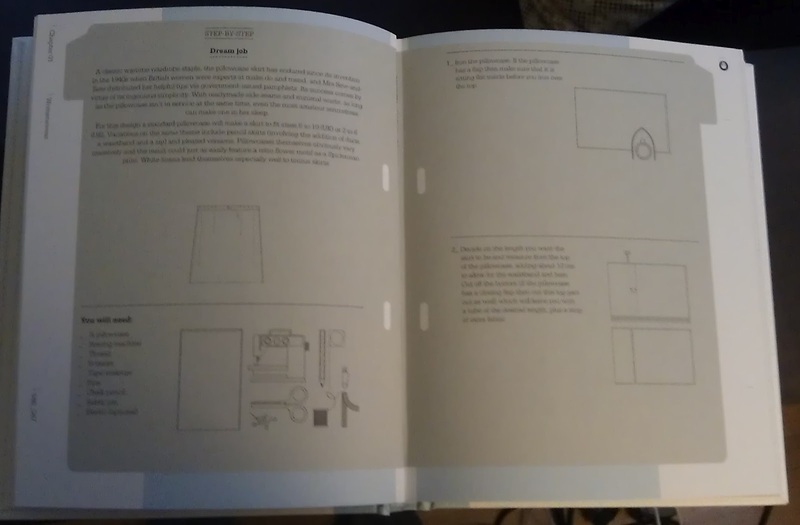 The step-by-step DIY fashion ideas scattered throughout Remake it Clothes, are not photograph tutorials, but are illustrated instructions. Other step-by-step projects include making sequins out of plastic packaging (definitely want to give this one a try), make a top out of two scarves, a laptop case out of a shirt, draping a sheet to become a top, fusing plastic bags to become material to sew with, how to cut a t-shirt to make yarn, and much more. 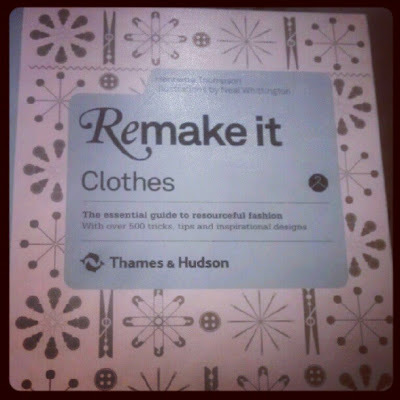 Remake it Clothes would be an excellent go-to book for anyone with an interest in recycled fashion, both to admire ethical fashion designers resourceful ideas, and to have a go at a handful of step-by-step DIY fashion tutorials that you've always wanted to try. 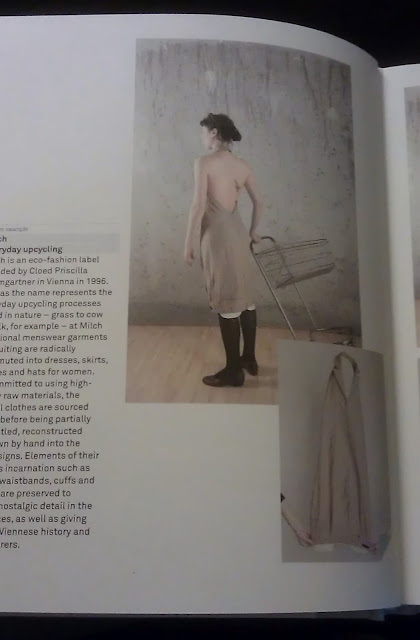 This sounds like a fabulous book to have in the refashion library - what's the price range? Hi Narda, the RRP is £16.95, you could try http://www.bookdepository.co.uk/ (they deliver worldwide) which currently have 16% off? Sounds like a wonderful book to have. I am sure there will be lots to learn. Thank you for sharing. I've just read this book, it was interesting, but I did find myself just flicking through the designer pictures to get to the refashion ideas! I am still awed by a man's trousers re-done as a dress! Ooo, I might have to get my hands on this book. These refashions look absolutely amazing - I love that newspaper dress!